Debatarrangement med Margrete Auken (F), Jeppe Kofod (A), Morten Lokkegaard (V), Nikolaj Villumsen (O) og Pernille Weiss (C). Spidskandidaterne til Europa-Parlamentet skal svare på, hvad de mener EU skal gøre for at tackle klimaudfordringerne. Der er specielt fokus på emnerne transport og bæredygtigt forbrug, da det er på de områder, vi udleder allermest CO2. Organiseret af VedvarendeEnergi, INFORSE-Europe og med tilskud fra Europa-Nævnet. 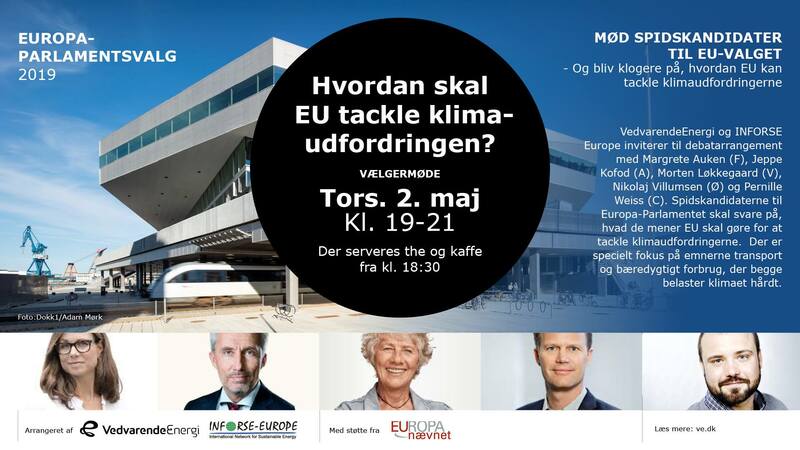 More: Events of Danish INFORSE members on EU Climate and Energy. Organiseret af Vestjyllands Energi og Miljoforening (VEMF) i samarbejde med VedvarendeEnergi, INFORSE-Europe og med tilskud fra Europa-Nævnet. INFORSE-Europe og UCN som sætter fokus pa udfordringer for en bæredygtig transport. Arrangementet er med tilskud fra Europa-Nævnet. Arrangører: VedvarendeEnergi-Sønderjylland i samarbejde med ProjectZero, landsorganisationen VedvarendeEnergi og INFORSE-Europa. Arrangementet er med tilskud fraf Europa-Nævnet. Arrangører: VedvarendeEnergi, VE-KBH og INFORSE-Europe. Arrangementet er med tilskud fra Europa-Nævnet. Mere:Events of Danish INFORSE members on EU Climate and Energy. 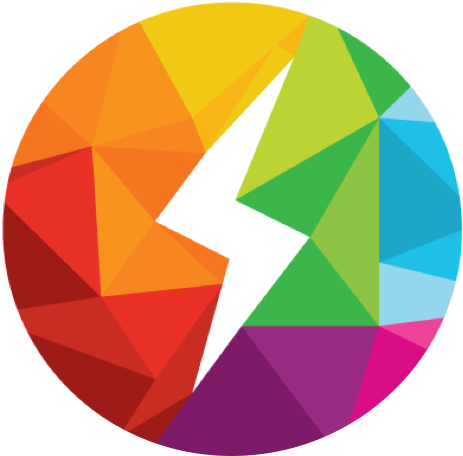 Organiseret af Klima- og Energigruppen - Stevns i samarbejde med VedvarendeEnergi, og INFORSE-Europe. 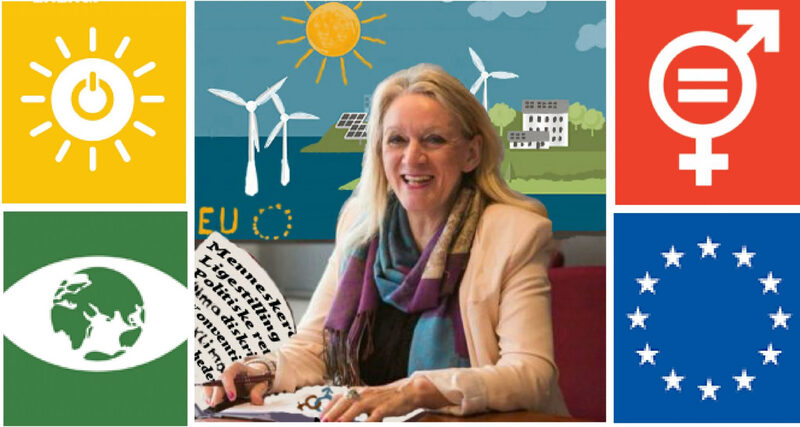 Mere: Events of Danish INFORSE members on EU Climate and Energy. 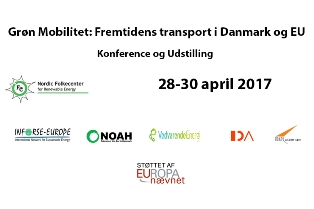 Organiseret af Samsø Energi Akademi og Samsø El-transport forening, i samarbejde med VedvarendeEnergi, og INFORSE-Europe. 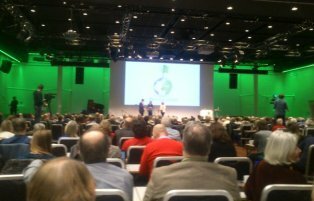 Debat organiseret af VedvarendeEnergi, INFORSE-Europa i samarbejder med Environmental and Energy Center in Høje Taastrup. Organiseret af af VedvarendeEnergi/UngEnergi og INFORSE-Europa med støttet af Europa-Nævnet. Events of Danish INFORSE members on EU Climate and Energy. Debate organised by VedvarendeEnergi/UngEnergi and INFORSE-Europa supported by Europa-Nævnet. 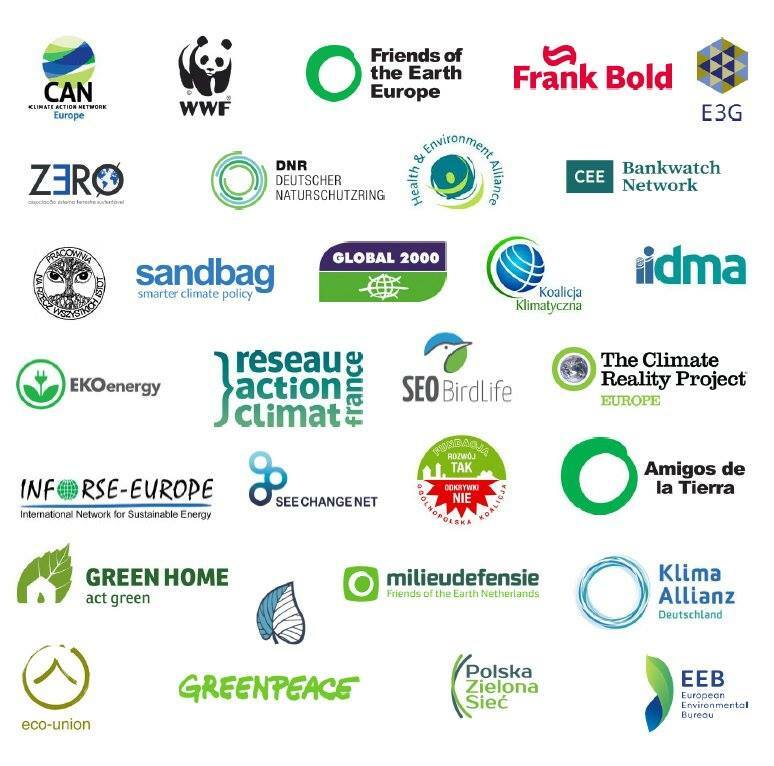 NFORSE-Europe Signed letter jointly with 31 NGO networks & NGOs to the EU ministers urging to ensure that Capacity Mechanisms no longer subsidise the burning of fossil fuels, particular coal. Read the letter signed pdf. 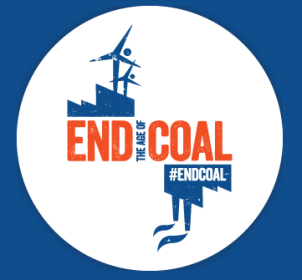 INFORSE-Europe, together with 96 organisations and networks, signed the letter by Jennifer Morgan from Greenpeace to the German Chancellor, Angela Merkel, to safe forest and phase out coal. Net zero is achievable! How do we get there? We have the tools to move beyond fossil fuels! Game over for wasteful energy use! Contributing authors: James Lloyd, Nature 4 Climate; Jody Dean, The Climate Group 2050; Christian Breyer, Lappeenranta University of Technology. Published by Centre for Alternative Technology (CAT) UK, in cooperation with INFORSE-Europe. Debatten ar organiseret af UngEnergi/VedvarendeEnergi og INFORSE-Europa med støttet af Europa-Nævnet. Organised by INFORSE-Europe in cooperation with FoE Europe and others. • Promoting Implementation of the Paris Agreement (PIPA) in East Africa, Kenya, Uganda, Tanzania. 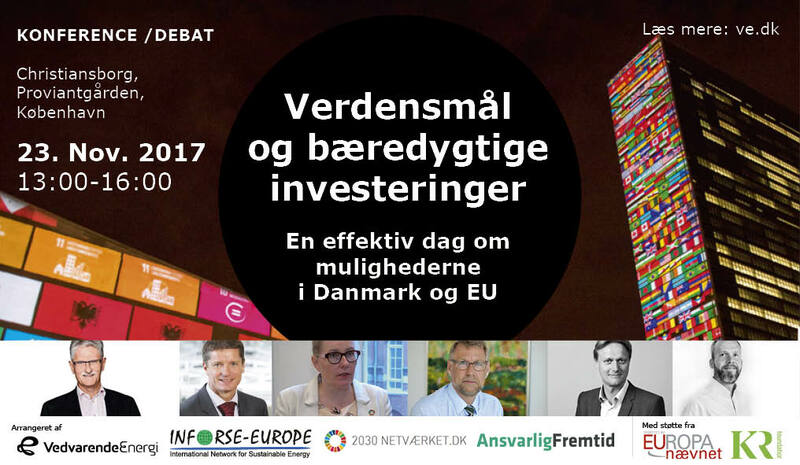 Organised by VedvarendeEnergi, INFORSE-Europe, Ansvarlig Fremtid, og Netværket 2030. (Note: The event is in Danish). 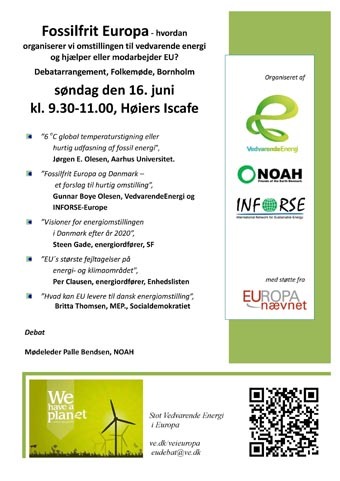 - Events of Danish INFORSE members on EU Climate and Energy. 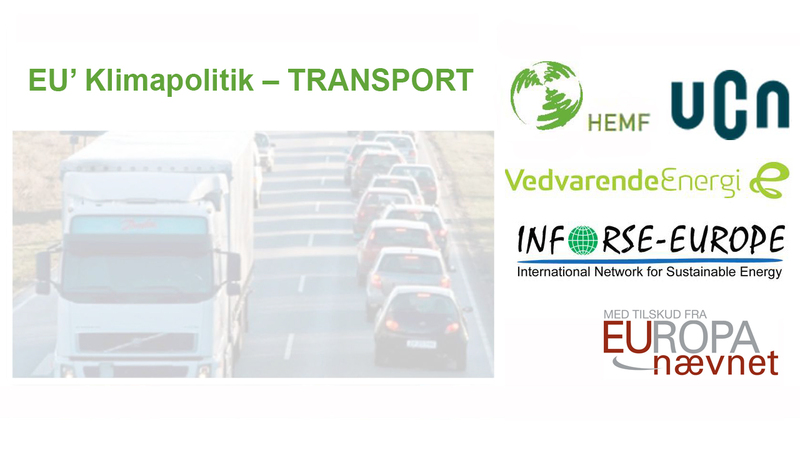 Organised by VedvarendeEnergi in cooperation with INFORSE-Europe. See the Proceedings at Seminar 2017. 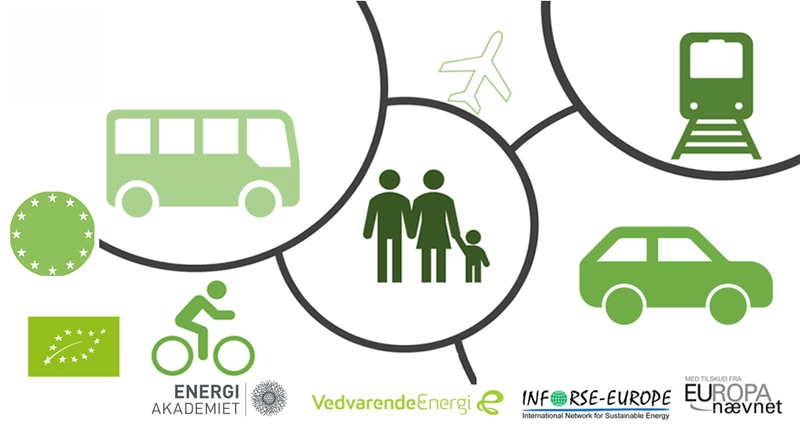 The event is organised by VedvarendeEnergi and INFORSE-Europe. 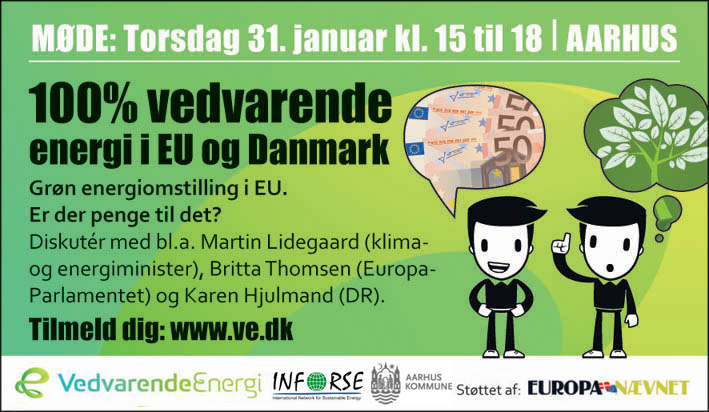 More information: Events of Danish INFORSE members on EU Climate and Energy. We are celebrating this during the year with several events including at the European Seminar in Denmark in August 21-25, 2017 and events at COP23 in November, 2017. The event is organised by the Nordic Folkecenter for Renewable Energy in cooperation with partners including INFORSE-Europe, VedvarendeEnergi, NOAH, IDA, and Eurosolar. Nordic Folkecenter for Renewable Energy's homepage in Danish and in English. Ground-breaking NEW ZeroCarbonBritain Report: "Making it Happen"
A toolbox exploring how we can overcome barriers in innovative ways. The publication is drawing on a wide range of peer-reviewed journals, books, reports and articles, as well as stories from real-life projects. It is published by INFORSE-Europe menber Centre for Alternative Technology (CAT), UK. See the new and the previous reports at: ZeroCarbonBritain, and "Vision 2050", where you can explore INFORSE's national scenarios to reach 100% renewables, as well as the scenarios collected under Low-Carbon Societies Network. Read more on the project and the event at the Project's web site here. The Government adopted a modification of a law, which makes it impossible to place a windmill in the territory of Hungary. According to the new regulation, minimum 12 km has to be the distance between a wind mill and the nearest dwelling or the nearest zone planned for buildings. A GIS-based map shows that there is no such a place in Hungary !! 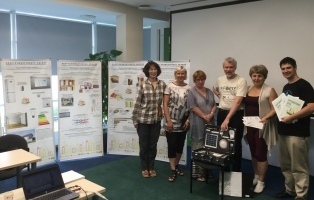 The study tour included visiting a new sustainable-energy exhibition in Minsk, and an event towards an initiative "Braslav - the first climate-neutral municiplaity in Belarus". The Danish politicians include: Thomas Danielsen (V), Jens Joel (S), Soren Egge Rasmussen (Enh. ), Christian Poll (Alt.). Danish NGOs and experts include: Gunnar Boye Olesen, INFORSE/VedvarendEnergi; Henning Bo Madsen, NOAH; Preben Maegaard og Leire Gorrono from Nordic Folkecenter for Renewable Energy; Karl Sperling, associate professor, Aalborg University. 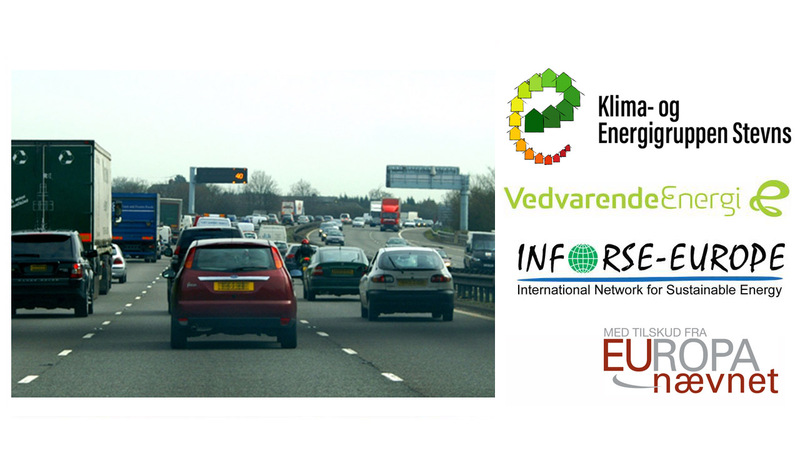 International experts include: Dirk Hendricks from European Renewable Energy Federation (EREF); Jose Etcheverry, professor; York University, Toronto, Canada; and representant for Skotland's Energy Agency "Local Energy Scotland". Organised in cooperation of VedvarendeEnergi, Nordic Folkecenter for Renewable Energy, NOAH and Community Power. 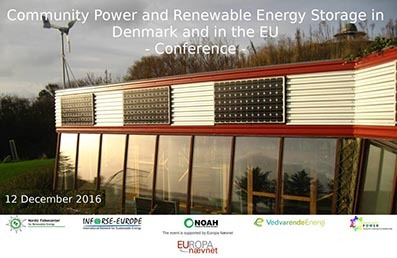 See Program/proceedings: Events of Danish INFORSE members on EU Climate and Energy. New INFORSE-Europe NGO Cooperation Project started. 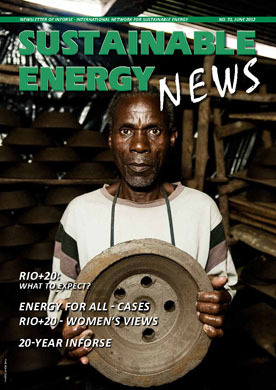 The poject aim is to advocate for sustainable energy transition through energy planning, networking, campaigning. 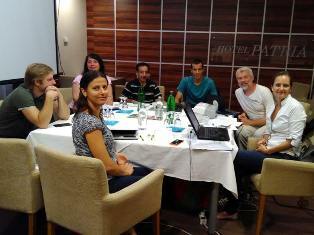 The project had a start up meeting in Serbia. 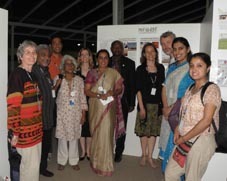 Exhibition of an eco-village in a South Asia. Solar drier, solar cooker, effective stoves, solar cell lamp, greehouse. Organised by DIB. More: EVD Project on INFORSE-Asia web site, and in Danish at Verdensspejl and DIB's website. International Seminar: "Exchange of Experience among Baltic Sea Region NGOs and Society in Promotion of Energy Efficiency for Climate Protection and Local Development" at the Latvian Energo Efficiency Centre. INFORSE SIDE EVENT, Bonn, Germany. INFORSE organisations from Europe and South Asia cooperated in organising the side event. The organisations from Europe were: The Nordic Folkecenter for Renewable Energy, DIB and SustainableEnergy. 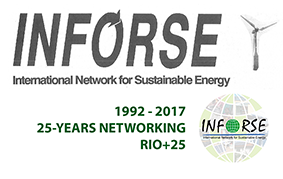 See Program/Proceedings at INFORSE at UNFCCC SB 44. 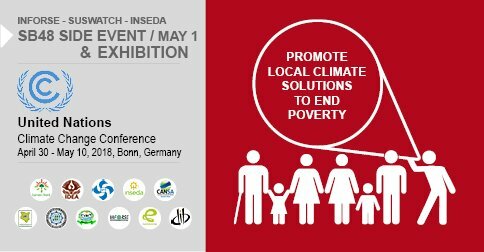 • INFORSE Side Event at UNFCCC SB44 in Bonn. 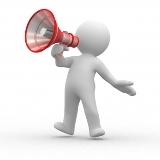 - - New Baltic NGO cooperation Project started in Belarus, Latvia, Russia, Denmark, Norway. 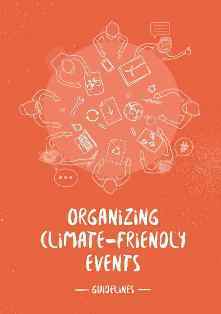 -- Published Guideline Organising Climate Friendly Events available in English, Russian and Latvian. Read on the connected events in April 2016. 111 pages, available in English, Latvian, and Russian. 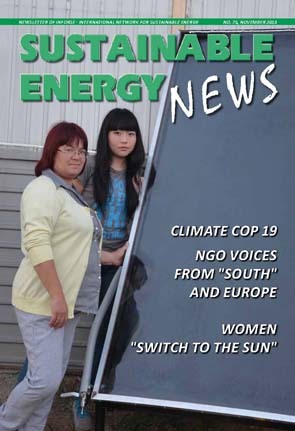 Read more, and download the Publication in English at the Latvian-Belarus-Danish NGO Cooperation Project DECARBONIZE OUR FUTURE. Study tour on energy house renovation in Denmark. 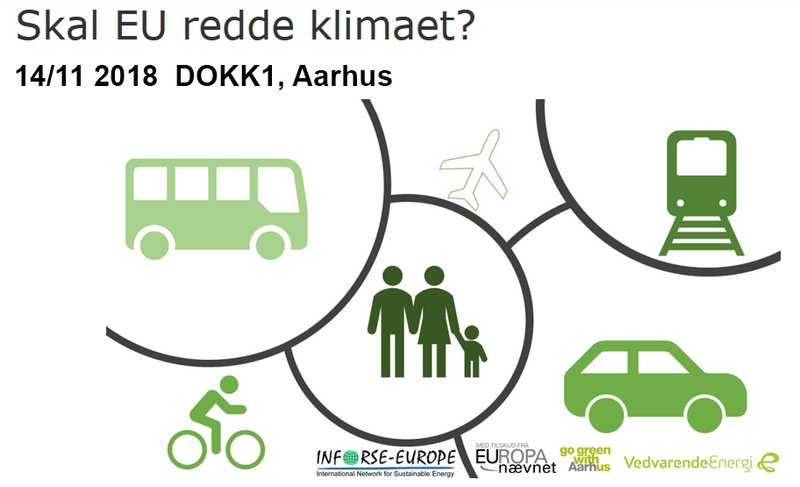 See Program/Review: Events of Danish INFORSE members on EU Climate and Energy. 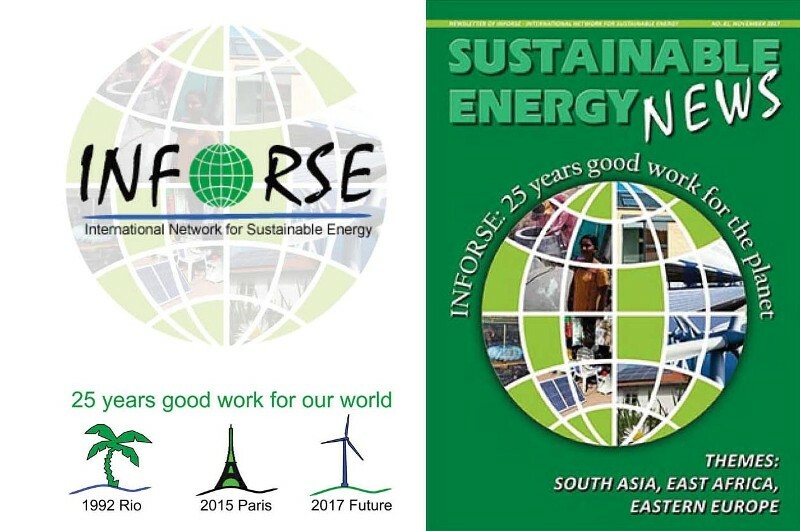 Organisers: International Network for Sustainable Energy (INFORSE), All India Women's Conference (AIWC), India; Association negaWatt, France; Nordic Folkecenter for Renewable Energy (NFVE), Denmark. Organisers: Nordic Folkecenter for Renewable Energy (lead); INFORSE-Europe; NegaWatt; CAT UK, SustainableEnergy: Track0, and others. Campaign " Don't Nuke the Climate", Paris, France. Sign Petition & Join the Virtual March ! - Direct Link to sign the Petition for organisations (WISE) and for Individuals (NIRS). 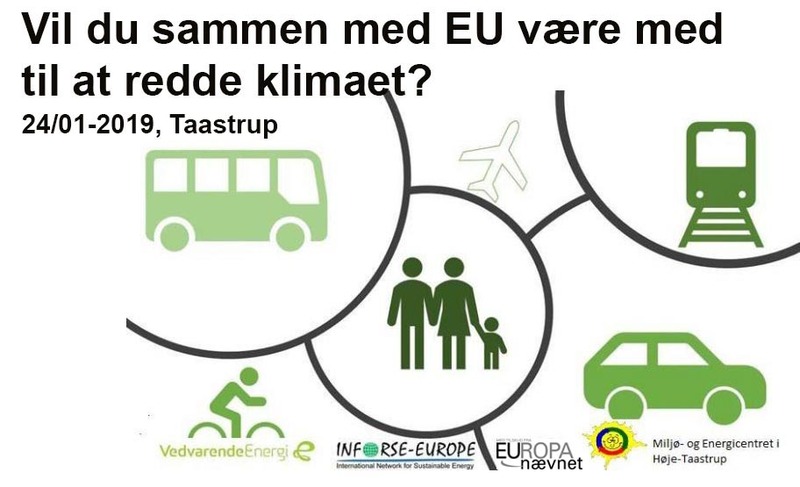 See Program and registration: Events of Danish INFORSE members on EU Climate and Energy. Conference - Launching Publication "Sustainable Event Management Guideline"
The event is organised by the Danish INFORSE-Europe member Samso Energy Academy. 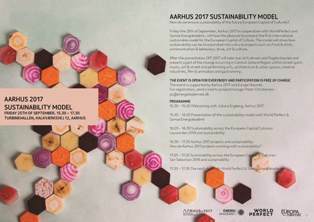 The event is supported by Aarhus 2017, and by Europa Nævnet as part of a cooperation project of the Danish INFORSE members. 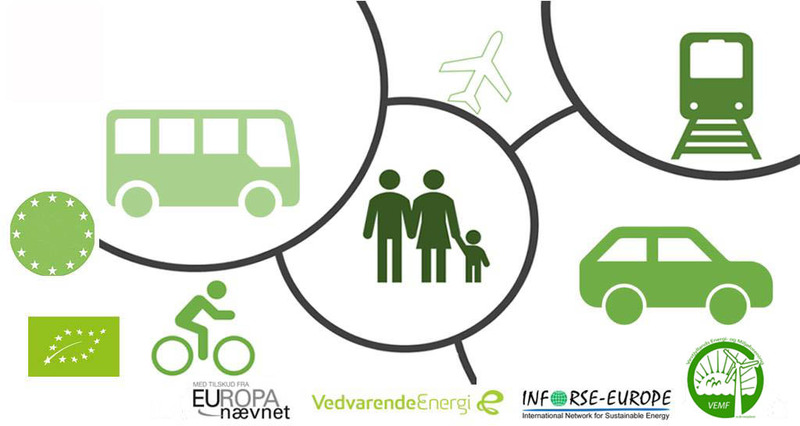 Program and registration: Events of Danish INFORSE members on EU Climate and Energy. 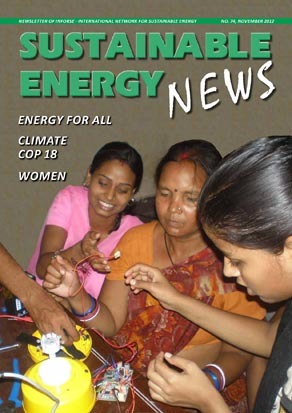 - Rural Development with Climate Mitigating Solutions in South Asia. 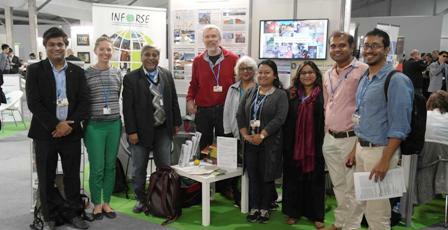 Read more on INFORSE's participation at UNFCCC COP 20. Read on INFORSE participation on previous UN Conferences. • 2 November, 2014 - Save the Night Trains from Denmark through Europe! A worthy protest with banners, signs, live music and two short speeches. There are about 180,000 travels each year, which will stop. 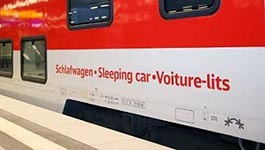 The routes include: Copenhagen, Hamburg, Amsterdam, Prague, Paris, Basel. 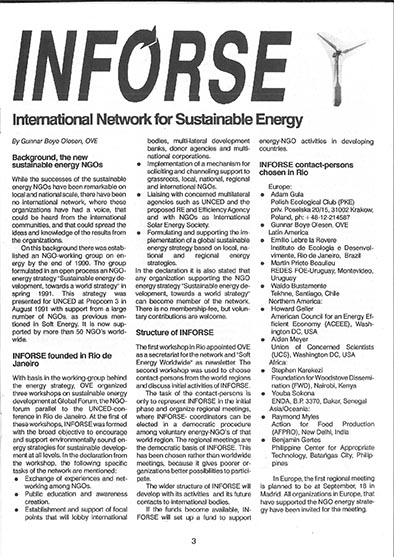 Organizers including: INFORSE members like NOAH (FoE Denmark) and VedvarendeEnergi (OVE). The Petition is available in English, German, Danish and Esperanto. You can choose language at the site. - Join "Save the nigh train" facebook sites, e.g. English and Danish. Organizers: Consortium including CARE-Denmark (lead coordinator), Sustainable Energy Denmark (in cooperation with INFORSE), IBIS, DanChurchAid, CAN, and IIED. Organized by Center for Environmental Solutions (CES). 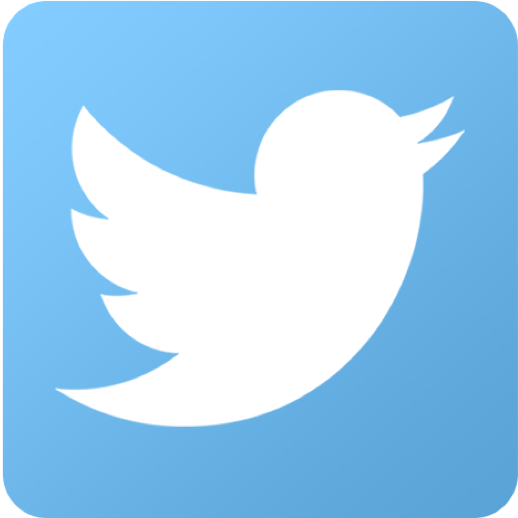 - Local Energy Planning: ECSE. Vagn Jelsoe (Danish Association of Users), and Gunnar Boye Olesen (VE) (in Danish). Workshop: "How much your Cell Phone Eats?" Measure how much electricity does your equipment use? Build your solar cell driven battery to your mobil. Place: Godsbanen, room: Remisen, Aarhus, Denmark. -- Events of Danish INFORSE members on EU. Theme: Can an Almost Fossil Free Denmark be a Model for Europe? Better Environment, New Income, Local Employment. 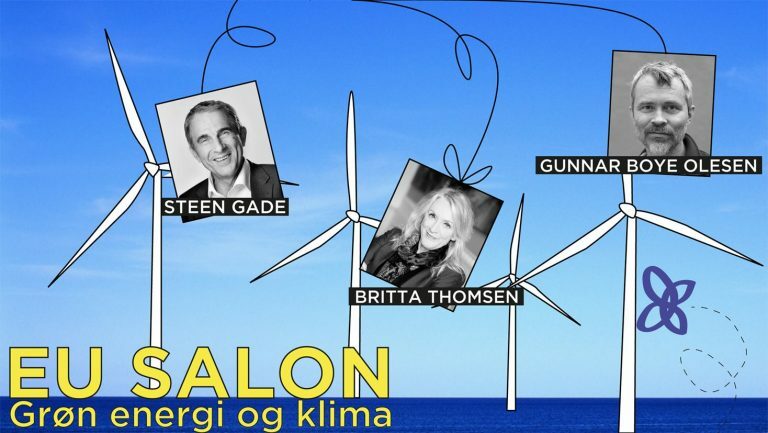 Among speakers are: Connie Hedegaard, EU Climate Commissioner, Representatives of Dansk Energi; DAKOFA; Dansk Fjernvarme; HMN Naturgas; DS Handvaerk & Industri; Fodevarer og Landbrug. Organisers: The conference is part of the "Thy and Mors on the Radhuspladsen" and "Folkecenteret's 40 -year RE in Thy" Jubileum. "Fossil Free Thy and EU" Conference. Excursion and Exhibition and Open House at the Nordic Folkecenter. Theme: What can Denmark, Norden and EU Learn from Thy? What Can Thy Learn from the Other Part of Denmark, Norden and EU? Speakers: Ove Videbaek, Conservative candidate to the European Parliament EP); Britta Thomsen, MEP and and candidate to EP; Per Clausen, MF (EL), Enhedslisten; Tryggvi Felixson, senior adviser to the Nordisk Rad; Lene Kjelgaard Jensen, mayor, Thisted municipality; Preben Maegaard, Nordic Folkecenter, Chair Emeritus; Jane Kruse, Chair, Nordic Folkecenter for Renewable Energy. Organisers: Nordisk Folkecenter for Renewable Energy with International Network for Sustainable Energy (INFORSE-Europe), Thisted Municipality. -- May 15, 2014 - Program on the Folkecenter's web site (in Danish). Mediator: Soren Hermansen, Samso Energiakademi. Organisers: VedvarendeEnergi, Climate Secretariat of Aarhus Municipality, Aarhus University, International Network for Sustainable Energy (INFORSE-Europe). Discussion with EU Climate Commissioner, Connie Hedegaard, Ariadna Rodrigo (FoEE), Jorgen Henningsen (EPC), Lars Fogh Mortensen (EEA), Ross Jackson (Gaia Trust). Place: Bethesda, Romersgade 17, 1362 Copenhagen, Denmark. Event link in Danish: NOAH's home page. Discussion with Gunnar Boye Olesen, VedvarendeEnergi, Prof. Eigil Kaas, Niels Bohr Institute, Klima- og Geofysik, Kontorchef Stig Uffe Pedersen, Klima, Energi og Bygningsministeriet. Place: VerdensKulturCentret, Nørre Allé 7, 2200 Copenhagen, Denmark. Event link in Danish: VE 's home page. Time: 16.45-18.15, Room: Torun 2nd floor, Zone B3. 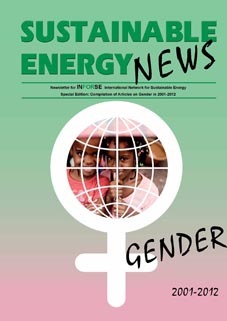 Read Contents and download from SEN Gender Reader. Public Meeting: "Come Nearer to Europe"
The event is one of the public debate events in 2013, which are organised by INFORSE-Europe and supported by "Europa Naevnet". The debates are in Danish. The Danish INFORSE-Europe members, which are local organisers of the events are: Nordic Folkecenter for Renewable Energy, Sustainable Energy (VedvarendeEnergi), NOAH (FoE Denmark), Samsoe Energy Academy. 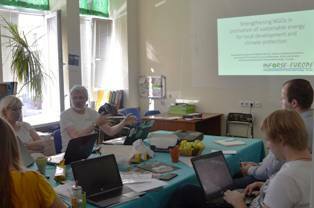 The Sustainable Energy Study Tours were for a Group from 3 Belarus Municipalities and NGOs in the framework of an ECSE Project. Read more: ECSE Project in English, and in ECSE Project in Russian. 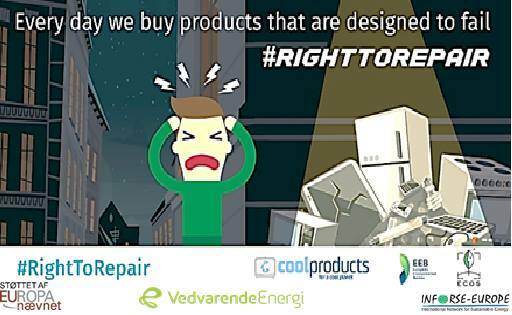 Organised by INFORSE-Europe, Coolproducts Campaign with EEB, and others in cooperation with European Commission, DG Energy, Ecodesign Team. 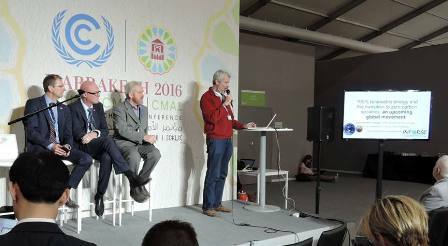 Public Meeting: "Fossil Free Thy and EU"
Fossil Free Europe - How do we Manage it? - Steen Gade, energy spokesman, SF. - Per Clausen, energy spokesman, Enhedslisten. - Jorgen E Olesen, professor, Aarhus Universitet. - Britta Thomsen, MEP, Social Democrats. - Gunnar Boye Olesen, Political Coordinator, VedvarendeEnergi. - Palle Bendsen, Modarator, NOAH. The event is in Danish. 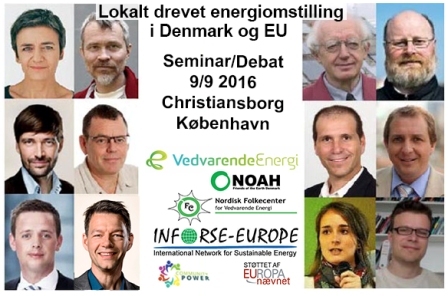 Organised by INFORSE-Europe, VedvarendeEnergi together with NOAH. 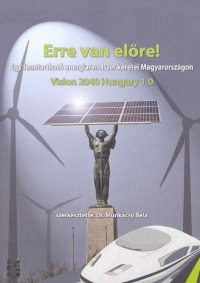 Gunnar Boye Olesen from INFORSE-Europe makes a lecture on sustainable energy vision tools at the ELTE University in Budapest, Hungary. - ELTE University Event's website and ELTE University News. "Sostanj Must Never Happen Again"
The letter is initiated by CEE Bankwatch Network and supported by 98 organisations. It is a reaction for that the banks decided to disburse funds for the Sostanj 6 lignite power plant in Slovenia. 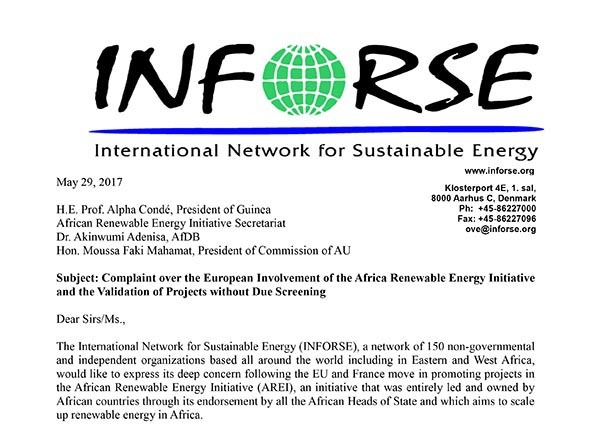 Read more: Press release section of INFORSE-Europe. Three regions were chosen in Belarus to make sustainable energy planning in the framework of a cooperation project. Read more: Belarus-Danish-Swedish NGO Cooperation Project. "Southern Voices - Phase 2" on Climate Change capacity building programme. The Program continues. INFORSE has focus on South Asian and Africa. Read more on the Southern Voices Project's web site and at INFORSE-Asia, and INFORSE-Africa. Green Energy Transition in EU - Is Money for this? Public Meeting on the EU Budget of 1,000 Milliard Euro, and its contribution to the necessary transition to effective use of renewable energy. Panel included: Martin Lidegaard - Danish Climate, Energy and Building Minister; Britta Thomsen - Member of the EU Parliament; Frank Elholm - European Commission; Bünyamin Simsek - Aarhus Municipality; Gunnar Boye Olesen - VedvarendeEnergi; Jørgen Wisborg - OK.
Organised by VedvarendeEnergi and INFORSE-Europe with cooperation of the Climate Secretariat of the Aarhus municipality. The event is one of the four public debate events in 2012, which are organised by INFORSE-Europe and supported by "Europa Naevnet". The debates are in Danish. The Danish INFORSE-Europe members, which are local organisers of the events are: Nordic Folkecenter for Renewable Energy, Sustainable Energy (VedvarendeEnergi), NOAH (FoE Denmark), Samsoe Energy Academy. INFORSE at UNFCCC COP 18 in Doha, Qatar 2012. 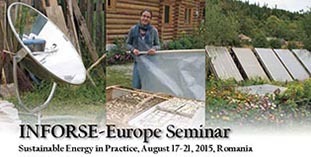 Organised by Samsoe Energy Academy, and INFORSE-Europe. The event is one of the four public debate events in 2012, which are organised by INFORSE-Europe and supported by "Europa Naevnet". The debates are in Danish. The Danish INFORSE-Europe members, which are local organisers of the events are: Nordic Folkecenter for Renewable Energy, Sustainable Energy (Vedvarende Energi), NOAH (FoE Denmark), Samsø Energy Academy. Climate Law - Will the Danish Climate Law the Strongest in Europe? Venue: National Museum, Festsalen, Copenhagen, Denmark. Organised by NOAH and INFORSE-Europe. 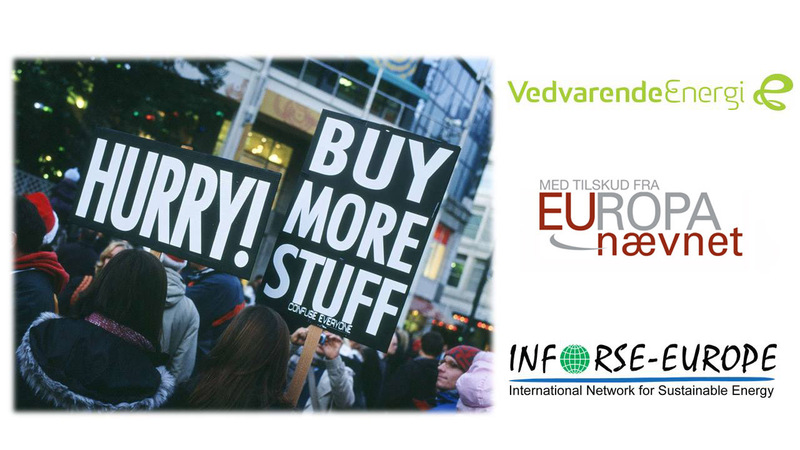 The event was one of the four public debate events in 2012, organised by INFORSE-Europe and supported by "Europa Nævnet". The debates are in Danish. 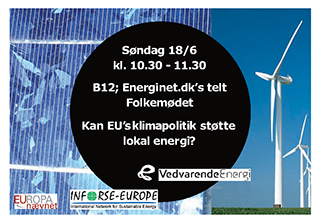 INFORSE-Europe had a stall together with the Danish INFORSE members as such Nordic Folkecenter for Renewable Energy, Sustainable Energy (VedvarendeEnergi), NOAH (FoE Denmark), Samsoe Energy Academy. See films and pictures at the web site of Europa-Naevnet. 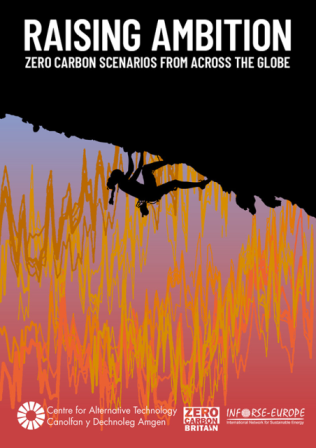 The Report can be downloaded from the Project's web site Southern Voices.net - Publication. INFORSE Participates in the "Southern Voices" on Climate Change capacity building programme with focus on South Asian and African INFORSE regions and NGOs. The Declaration: "100% Renewable Energy in Europe by 2050"
was handed over by Greenpeace to the Danish EU Presidency represented by Martin Lidegaard, Denmark's Climate and Energy Minister. INFORSE-Europe joined the Declaration in January, 2011. Read INFORSE-Europe's Vision by 2030/2050 in the Vision EU-27. Place: Nordic Folkecenter for Renewable Energy, Denmark. Climate Policy "From the outskirts to the energy center with focus on Denmark and Uganda." - How can EU policy regarding energy and agricultural development be met? The event was one of the four public debate events in 2012, organised by INFORSE-Europe and supported by "Europa Naevnet". Organised by the EU FP7 Project with partners: RAC-France, INFORSE-Europe, Germanwatch, PIK, and CIRED. Read: Proceedings at the Project's web site. Created: January 2000. Last updated: April 9, 2019 .